The Way We Were opening line: Dan reached over and took two glasses of champagne from the waiter. It is the day that he and Alice are announcing their engagement to their friends and everything appears to be perfect. But it’s not! Both Dan and Alice were previously married. Dan’s wife left him for another man which nearly destroyed him, and Alice’s husband died in a land mine explosion. Alice and Ben were the perfect couple and his death devastates her to the point that she believes no man will ever receive her love and attention. But when they meet each other through mutual friends, things change for both of them. Until Alice learns that Ben is actually alive! 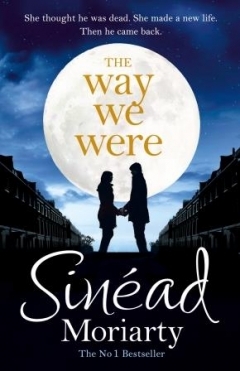 This is the third Sinéad Moriarty book I have read and it was brilliant. I have been really lucky that so many of my reads have turned out to be books that I can recommend.